Taco Mac – no, it’s not a taco shack that also serves mac-and-cheese. Taco Mac is a Buffalo wings sports grill known throughout the Southeast for its award-winning wings and “the most draft on top” in the Southeast. It also caters to those who enjoy burgers, chicken, sandwiches and flat-breads. All of this is offered with a gracious dose of Southern hospitality. Although Taco Mac has grown from a single restaurant in Atlanta to having a presence in every major neighborhood throughout the greater metro area and into North Carolina and Tennessee, the restaurant had flatlined with regards to customer conversion and spending. When Taco Mac came to us, they wanted to increase their customer volume at restaurants and get a stronger grasp on their reputation now that they had almost 30 restaurants. With these two items in mind, Taco Mac looked for a digital marketing company that had a proven track record and a history of success within the restaurant industry at gaining an immediate and worthwhile return on a company’s investment. That’s when they reached out to Cardinal. Cardinal’s proposition to meet those goals. Tackling how to increase customer volume first, we started with a robust Facebook and Instagram advertising strategy designed to convey Taco Mac’s revised brand look, updated menu options, and continued dedication to excellent customer service. 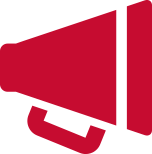 Campaigns were segmented into 3 core groups to align messaging and value propositions with the audience we were trying to reach…. customers from our Brewniversity list and beer interest categories were enticed to visit their local neighborhood Taco Mac to try out the limited-edition beers and take home a custom pint glass from that brewer. designed to promote loyalty and easy social sharing. utilized a custom video featuring shots from Spring Mountain Farms all the way through tossing of wings in the sauce. The message: We’ve teamed up with local farms to bring Atlanta the best chicken wings in town. Developing campaigns that served the right message to the right customer was the easy part. The challenge: tracking effectiveness of online marketing for a business that is primarily driven by foot traffic and in-restaurant transactions. Although increasing online ordering and carryout business is the goal of virtually any brick-and-mortar restaurant, it typically makes up a small portion of the total trackable sales. Such was the case for Taco Mac. 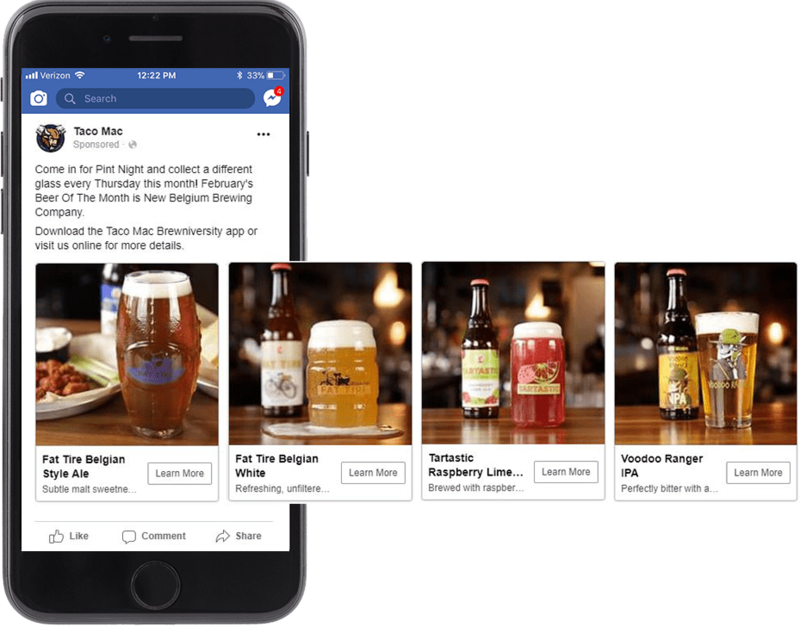 Rising to the challenge, we thought outside the box and utilized the store visits feature on Facebook to track how many people visited a restaurant after being exposed to an ad. This feature not only allowed us to optimize ad campaigns based on actual in-restaurant activity, but we were able to share estimated ROI based on number of in-store visits X average ticket. Uploading offline data back into Facebook from the restaurant’s POS also allows us to better understand core advertising components such as peak time of day, day of week, redeemed offers, etc.. Not only were the campaigns effective within their channels, but data cleaned from Facebook would then be used by the Taco Mac marketing team to inform offline marketing decisions.